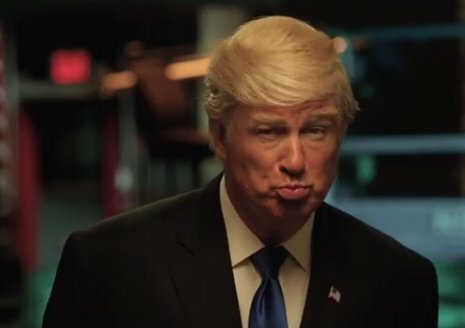 “Saturday Night Live” has made a YUGE decision: It has chosen Alec Baldwin to impersonate GOP presidential nominee Donald Trump. NBC announced this deal Wednesday with a promo on social media, just days before “SNL” begins its 42nd season and little more than a month before voters choose between Trump and his Democratic opponent, Hillary Clinton. Baldwin, a veteran “SNL” guest host, will debut his Trump impression opposite cast member Kate McKinnon’s continuing turn as Clinton. Trump had previously been played by announcer Darrell Hammond and by the now-departed Taran Killam. Previously, “SNL” went over the heads of its cast to select Larry David to play former presidential hopeful Bernie Sanders. Saturday’s premiere features Margot Robbie as guest host, with musical guest The Weeknd. It airs at 11:30 p.m. EDT.